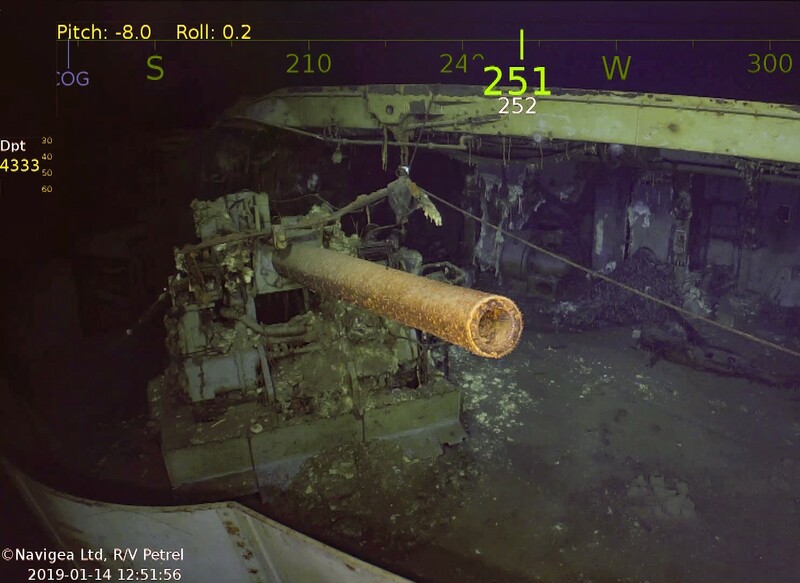 The USS Wasp, an aircraft carrier that saw service during World War II from Iceland to Guadalcanal, has been located lying 14,000 feet deep in the Coral Sea 77 years after its sinking. It’s the latest find chalked up to the R/V Petrel, a research vessel whose expeditions have been funded by the late Microsoft co-founder Paul Allen and his estate. The Petrel has been plying the waters of the Pacific Ocean and surrounding seas for years, to document the resting places of historic shipwrecks and conduct scientific studies. The Wasp was found on Jan. 14 with the aid of a sonar-equipped autonomous underwater vehicle and a camera-equipped remotely operated vehicle. This entry was posted in GeekWire and tagged History, Military, Paul Allen, Science, USS Wasp. Bookmark the permalink.